Non-governmental organisation Amnesty International has delivered stinging criticism of the EU and its handling of the migrant crisis, saying European governments are "complicit" in grave human rights violations in Libya through their support for authorities there that often work with people smugglers, and torture refugees and migrants. "We are detailing the human rights violations that refugees and migrants in Libya are suffering. We're talking about abritary detention, torture and other ill-treatment, very often to extract a ransom from them when they are detained in detention centres run by the government. We are also describing the ways in which European governments are co-operating with the Libyan authorities and how this co-operation is actually trapping people, refugees and migrants, in the country and exposing them to human rights violations," says the report's co-author, Amnesty's Matteo De Bellis. 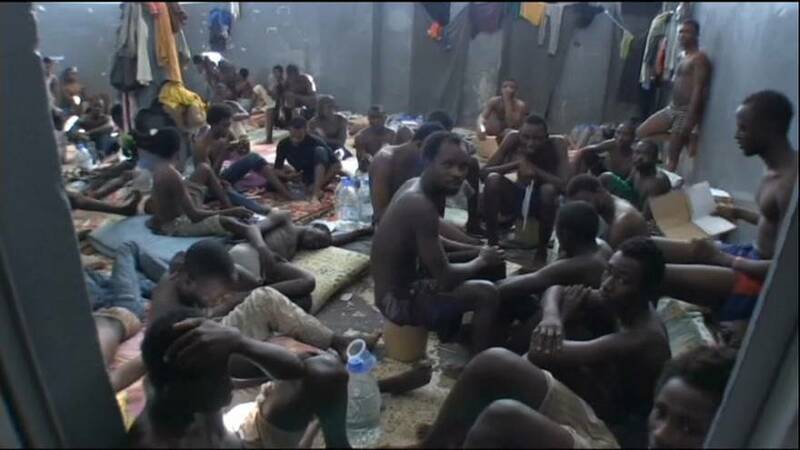 Amnesty's damning report comes as global outrage at the development of a 21st century slave market in Libya preying on migrants grows. The report alleges a "dark web" of collusion exists and accuses governments of being entirely aware of the plight of tens of thousands. At best the migrants are being contained; at worse Europe aids in the creation of an infrastructure for their exploitation. Refugees and migrants intercepted by the Libyan Coast Guard are sent to DCIMdetention centres where they endure horrific treatment. Up to 20,000 people currently remain contained in these overcrowded, unsanitary detention centres. Migrants and refugees interviewed by Amnesty International described abuse they had been subjected to or they had witnessed, including arbitrary detention, torture, forced labour, extortion, and unlawful killings, at the hands of the authorities, traffickers, armed groups and militias alike.